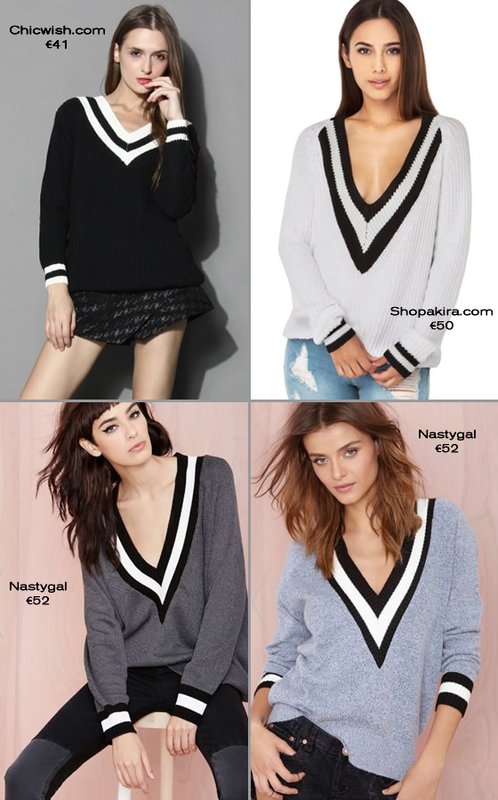 The most wanted sweater at the moment! It all started in the Rag & Bone's spring 2014 collection show when this sweater took the focus of all the other items in the catwalk. Since then, everybody, from bloggers to fashion editors, started using this garment as a fashion statement. 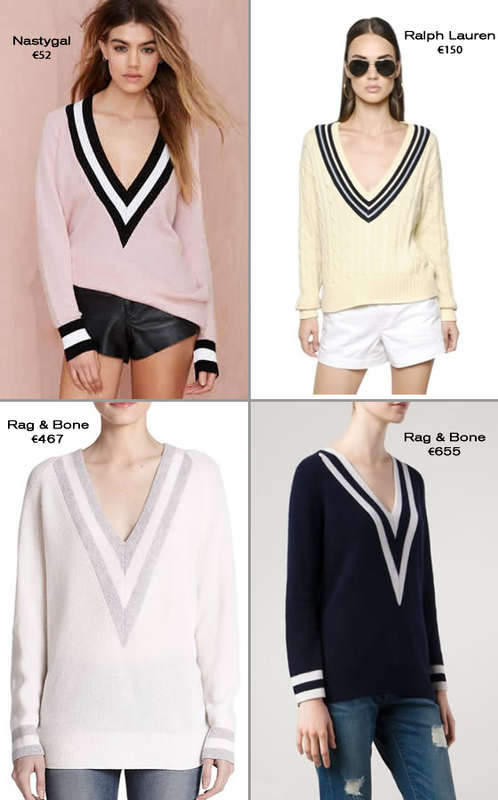 And from there the Rag & Bone sweater became a must have copied to all the major stores that we all know. If you don’t have yours yet, check the looks and the shopping because I bet you won’t resist! Yo aún no tengo uno, pero me lo estoy pensando ;) Buen post! Oh!! I'm really in love with this tennis sweater!! kisses!! Pessoalmente, prefiro a branca, e eu sou fã de pretos!! Lately seems to be a must! I've seen it a lot lately. I really like it!